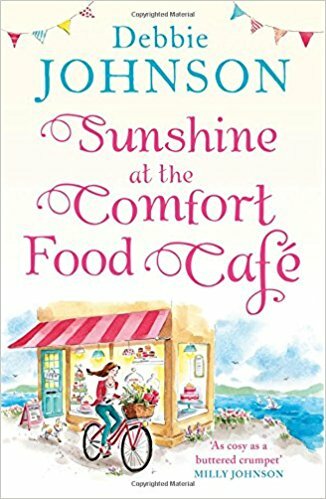 Blurb: Perched on a windswept cliff on the stunning Dorset coast at what feels like the edge of the world, the café and its warm-hearted community are a haven for lost souls who happen to wander by with a heavy heart and a story to tell. Serving up the most delicious cream teas; beautifully baked breads, and carefully crafted cupcakes, there’s nothing a cup of tea and a delicious treat won’t fix. For tourists and locals alike, the ramshackle cafe overlooking the beach is a beacon of laughter, companionship, and security – a place like no other; a place that offers friendship as a daily special, and where a hearty welcome is always on the menu. So make yourself at home, catch up on the gossip with old friends, meet new ones and fall in love at the Comfort Food Café. Review: I love the Comfort Food Café. 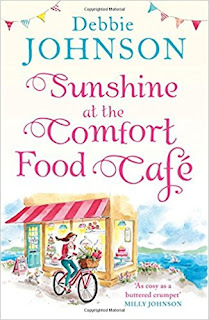 I've completely fallen in love with this series, its characters and of course, the cosy setting. I am so glad that Willow, who has been a secondary character in all other stories, gets the spotlight in this one. Like the other three, this book can be perfectly read as a stand-alone as it has its own independent story, but I would highly recommend reading all the books, as each one of them is a real treat. Willow works part-time at the café but also runs her own cleaning business, although this gives her enough flexibility to care for her mother, who suffers from Alzheimers, she doesn't have time to have any kind of social live. A new arrival though makes her question if she really is coping with everything going on as well as she thought. The relationship between Willow and her mother is portrayed in a very special way. 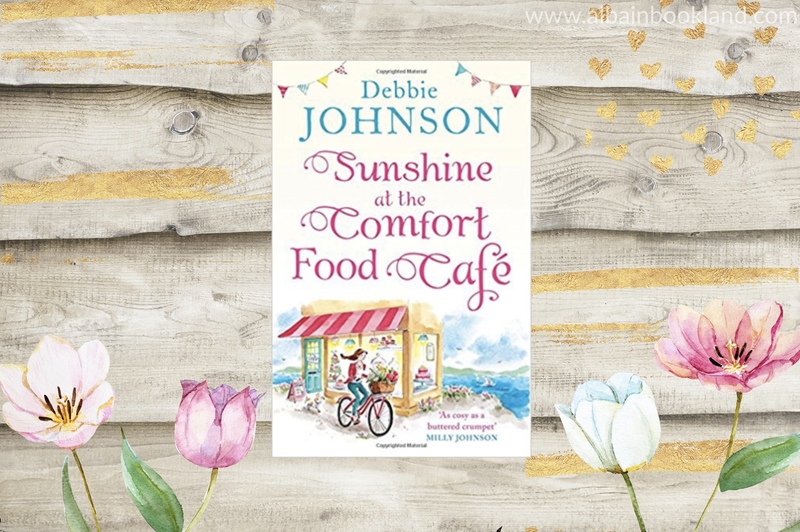 Debbie Johnson paints a very clear picture of what it entails to care for a loved one that more often than not forgets who you are, with all its ups and downs. And as you get to know Willow better, you soon realise what a strong woman she is. But she is not alone at all, once again, the tight knitted community of Budbury is always there, ready to help and comfort with tones of delicious food. This means we get to catch up with some old favourites and see how they are doing, which I enjoyed immensely. I think that Debbie Johnson gets even better with every new book she releases and Sunshine at the Comfort Food Café might be my new favourite of hers. A beautiful and touching story that will steal many hearts, perfect escapism.